2011 Mercedes-Benz SLK was introduced to the public. 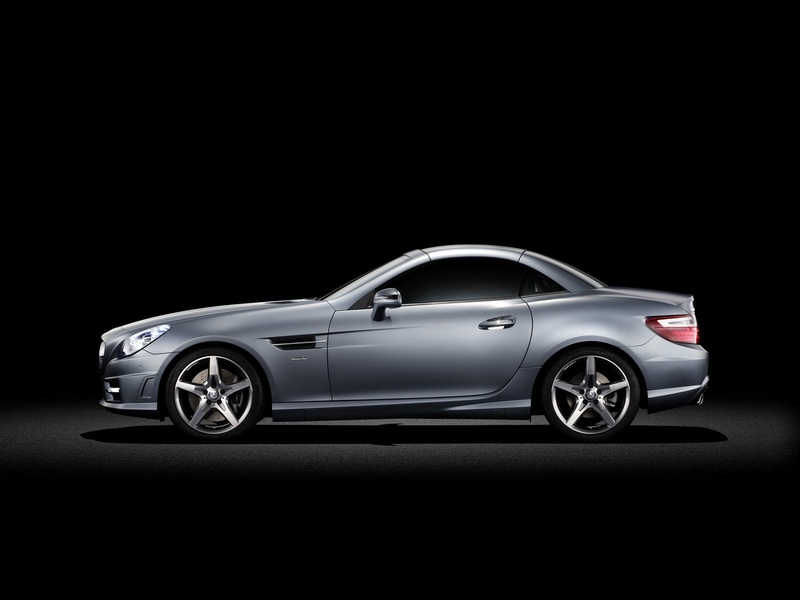 2011 Mercedes SLK gets new touch and entered the third generation. The exterior gets a redesign. His face was like a legend 190 SL in the era of the 1950s, which is known as the original SLK. However, we found her face like a Mercedes-Benz SLS AMG and Mercedes-Benz CLS. With the new design, New SLK has a better aerodynamic coefficients of the second generation, from 0.32 to 0.30. For the first time Mercedes-Benz offers a choice of 3 roof light. First, body-colored roof. Both dark glass roof. Finally, Magic Sky Control (first in the world) - you can turn it into light or dark via a button. Mercedes-Benz will offer new machines with direct injection. 4-cylinder engine, 1,800 cc, is available in a choice SLK 200 BlueEFFICIENCY (184 hp) and the SLK 250 BlueEFFICIENCY (204 hp). SLK 200 roadster teririt BlueEFFICIENCY claimed in its segment. With the 7G-Tronic gearbox Plus, with gas consumption of 19.9 km / liter. Brushed 0-100 kph in 7 seconds. The maximum speed of 235 kph, if the transmission is used automatically and 240 km / hour. 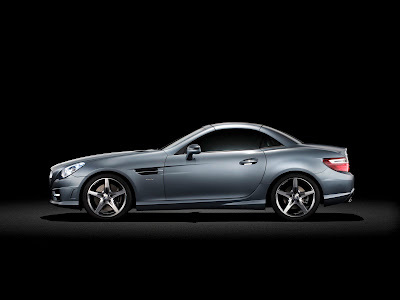 SLK 250 BlueEFFICIENCY accelerates 0.4 seconds faster. Fuel consumption of 19.6 km / liter. Top speed is 240 km / hour. SLK 350 SLK BlueEFFICIENCY be highest with a V6 engine, 3,500 cc, 306 hp. Acceleration 0-100 kph in 5.6 seconds and completed the maximum speed of 250 kph. Fuel consumption was recorded 17.7 km / liter. V6 engine featuring third-generation direct injection, piezo injectors, and a multi-spark ignition. All the machines claimed 25% more efficient than its predecessor. The existence of the ECO start / stop on all models New SLK helped fuel efficient. As a true roadster that provides fun-to-drive, making Mercedes-Benz offers three suspension choices. First, the conventional steel suspension as standard. Both sporty suspension is harder. Third, Dynamic Handling package, where the damping system is electronically controlled automatic full, so the car is running smoothly despite the rough road across the surface and no loss of driving dynamics. Dynamic Handling Package consists of the Direct-Steer system and Torque vectoring Brakes. Direct Steer offers better handling and agility as well as reduce the power you turn the steering wheel when parking. Torque vectoring Brakes provide certain braking on the rear wheel when the car is cornering. The result, the car can go through corners with precision and easily controlled.